This interactive site by Claudia Cortes introduces color in a fun way. 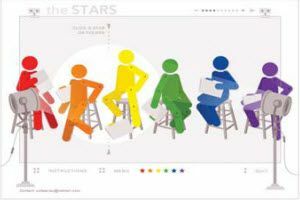 Animated figures explain how to use colors to communicate and how colors symbolize emotions and events. This interactive Web site from the Adult Media Literacy Alliance will help users improve reading skills by providing strategies for reading between the lines, making predictions, and identifying main ideas.